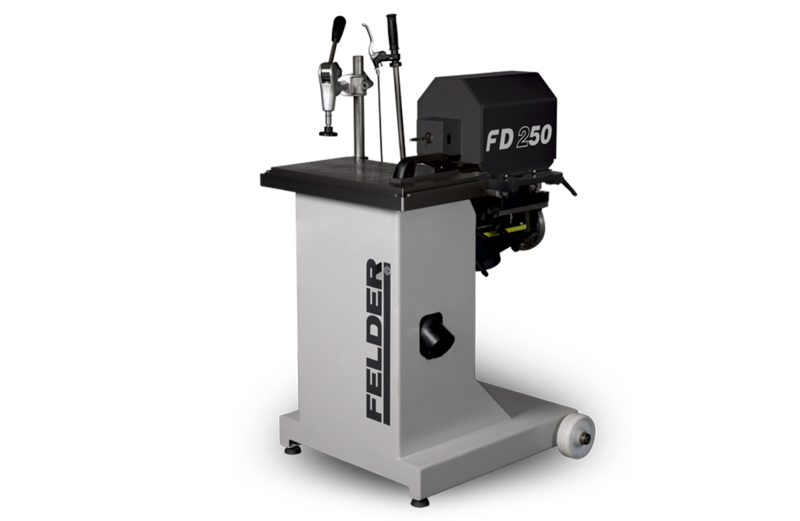 The FD 250 is a versatile, small footprint machine that can handle large workpieces. 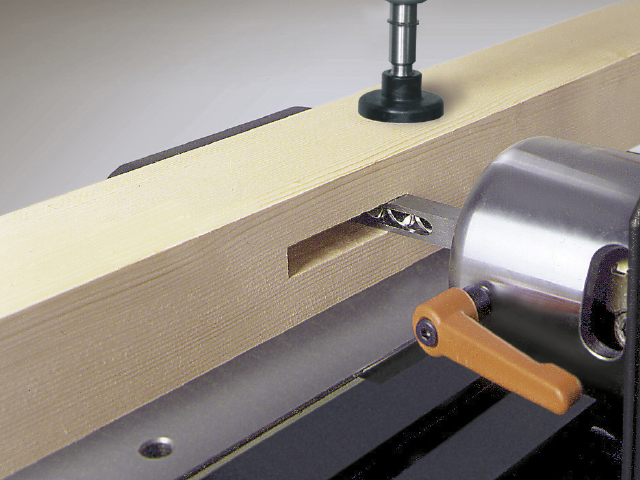 Chisel mortise device for square and right-angle chisels. 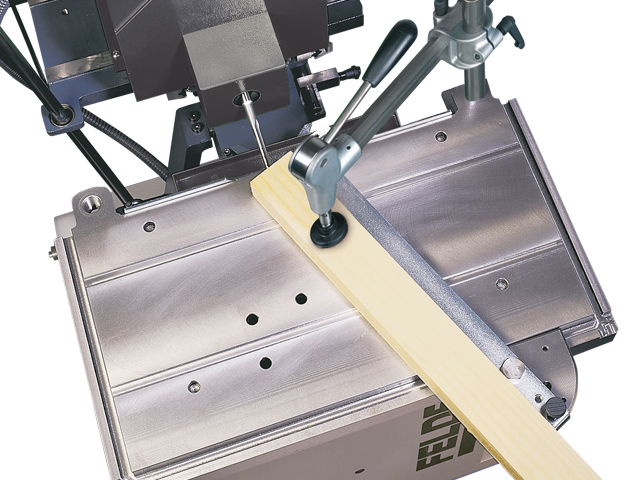 When slotting and tenoning, the slot does not have to be rounded off any more as the slot is chiselled square. 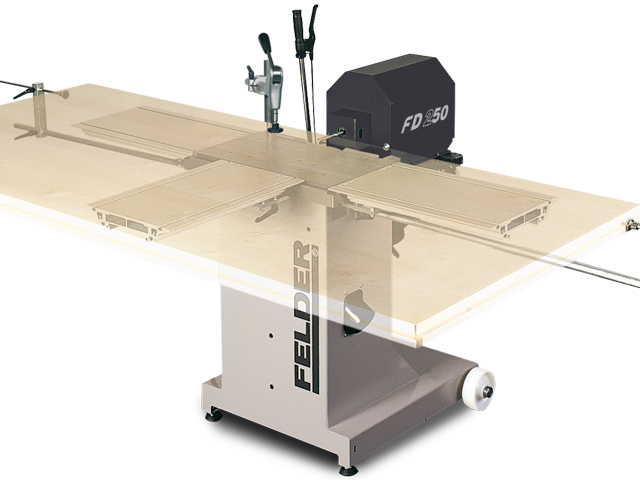 This eliminates time-consuming handwork. 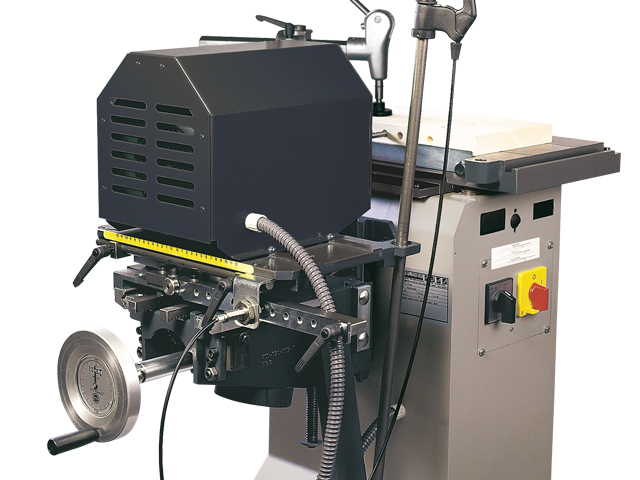 The dual-sided adjustable longitudinal stops are advantageous for serial drilling or mortising work. 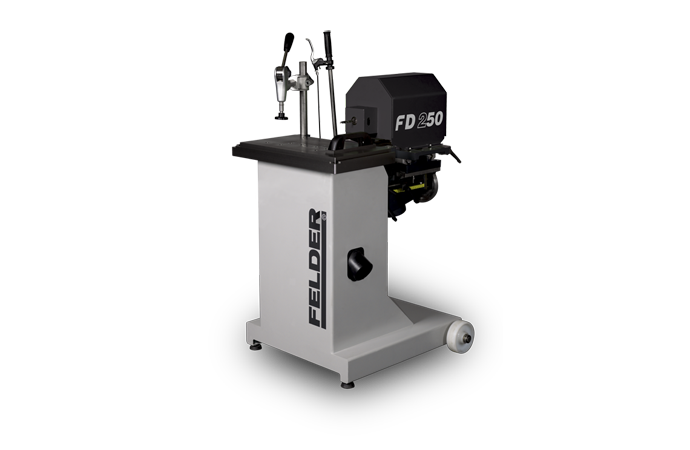 The longitudinal stops can be adjusted to the desired dimension (max. 2500 mm) by using clamps. 4 spacing bars with the following hole distances, 16 mm, 22 mm, 25 mm and 32 mm are delivered as a standard with the dowel drilling equipment. Additional spacing templates are available on special order. 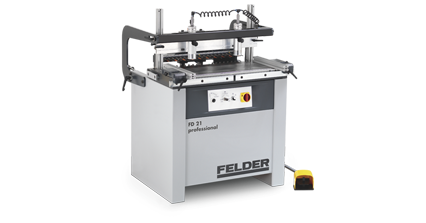 Convenient single-hand lever operation and ergonomically designed features ensure easy operation. 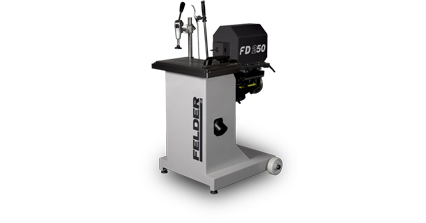 The mitre fence can be clamped to the machine table within seconds by using a Felder eccentric clamp. The most useful angles, –45°; –22.5°; 0°; 22.5° and 45° can be preselected by using grid. All other angle settings can be selected by using the scale.